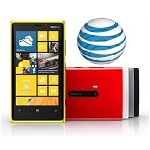 Nokia’s new flagship, the Lumia 920, is most likely to make its debut in the USA with AT&T on October 21st. To many such a promise may seem a bit too optimistic, since Windows Phone 8 was just released to manufacturers, and this naturally allows Nokia and AT&T only a month to round out final testing of the device and its performance on AT&T’s network. But, on the other hand, if they are really ready, why wait? Right?! Besides, those are specialists out there, and I guess risk assessment has been seriously weighed, so as to announce this launch date. Otherwise, it would be devastating to Nokia, and highly unpleasant for Microsoft and AT&T.